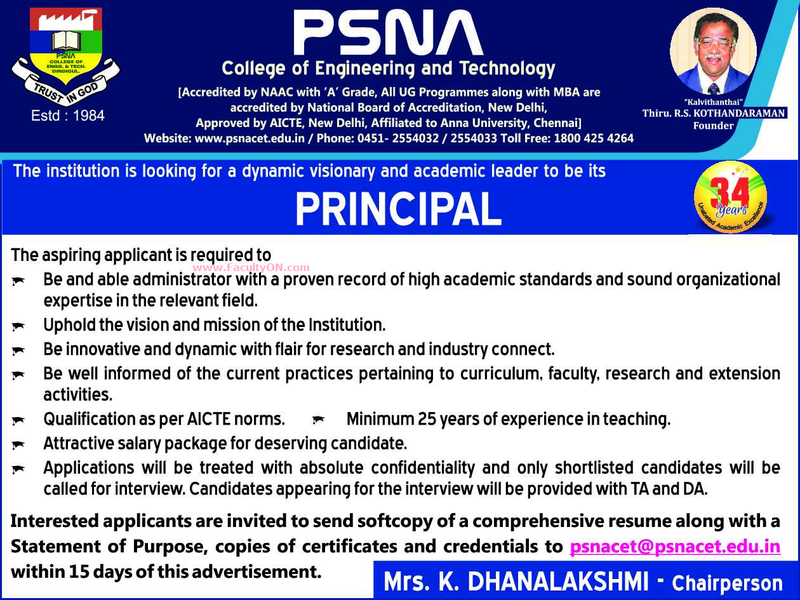 PSNA College of Engineering and Technology, Dindigul has advertised in THE HINDU newspaper for the recruitment of Teaching Faculty- Principal jobs vacancies. Interested and eligible job aspirants are requested to apply within 15 days from 01st August 2018. Check out further more details below. As per AICTE norms. Minimum 25 years of experience is required. How to Apply: Interested and eligible candidates are requested to send soft copy of comprehensive resume along with a statement of purpose, copies of certificates and credentials to the email address given below.